For a breath of fresh air, pack your bags and head to the bucolic pastures and abundant coastline of Long Island’s North Fork. A breezy 2-1/2 hour drive from Brooklyn or 3-1/2 hour jaunt via the LIRR from Penn Station or by Jitney, this quaint, relaxing oasis invites you to immerse your senses in the bounty of nature. Experience serene sunsets over rolling hills, fertile farmland, and a beautiful coastal backdrop dotted with hamlets and historic ports. This area hit the map in the 1970s when its spectacular vineyards (now 45+ to choose from) began to flourish. When farm-to-table cooking became de rigueur, notable chefs flocked here to open their famed restaurants. Today, an established and evolving food scene, family-owned farm stands, boutique and antique shopping, and an array of outdoor activities abound. Whether visiting Greenport (the “unofficial” capital of the North Fork) in the town of Southold, the villages of Mattituck, New Suffolk, Cutchogue, Laurel, Orient, Peconic, and East Marion, or Riverhead (Jamesport, Aquebogue, and Baiting Hollow), expect to find tranquility, authenticity, and a more peaceful rhythm. We also recommend spending at least a day on Shelter Island, which is a quick 8-minute ferry ride from Greenport and a destination unto itself. This historic island offers miles of beautiful beaches, not a single traffic light, and a community of 2,500 people who appreciate simplicity. Lack of development on the island can be attributed to the designation of Mashomack Preserve as a nature sanctuary more than 20 years ago, which covers nearly a third of the island’s 27 square miles, the rest of which is sleepily residential with a smattering of restaurants and shops. The North Fork is a gastronome’s delight, rooted in the collaborative farm-to-sea-to-table sustainable ethos of a flourishing community of restaurateurs. Over a decade ago, James Beard Award nominee and award-winning chef Gerry Hayden established North Fork Table & Inn and the North Fork’s farm-to-table dining culture took off. His protégé, a North Fork native, now helms this stellar New American restaurant, focused on locally-grown, fresh and seasonal finds prepared in progressive and inspiring ways. Try the dry-aged Crescent Farms duck, marinated biodynamic tomato salad, and upside-down peach cobbler. Everything on the menu is perfectly executed, and the service is impeccable. Another local favorite, Noah’s serves up innovative dishes with a strong focus on regional ingredients and exceptionally fresh seafood. Chef Noah Schwartz and his wife Sunita, a lauded wine expert, have received numerous accolades for their casual, family-friendly, top-notch dining destination. Try the Tasmanian red crab tacos, local corn risotto, or local seafood paella, and key lime pie. James Beard Award-winning chef Galen Zamarra, known for Mas (Farmhouse) in Greenwich Village, brought his playful take on farm-to-table fare and a passion for sustainability to The Halyard, situated along the water at the boutique hotel of Sound View Greenport. Pair some local wine with lobster beignets and enjoy unobstructed sunset views over the Long Island Sound. Frank de Carlo, Manhattan chef and owner of Peasant in Nolita, opened this spot last year, serving hyper-local seasonal coastal Italian fare that is entirely sourced from within a five-mile radius. Housed inside a formal coal shack and suspended over the Peconic Bay, with beautiful sunset views of Shelter Island on the outdoor deck dotted with umbrellas. Try the spaghetti with blue claw crabs and zucchini flowers with ricotta and anchovy dressing. Umbrian chef Marco Pelligrini uses both regional and old-world Italian-imported ingredients to create authentic, seasonal Italian dishes in a casually elegant setting. Try the house made buffalo milk ricotta ravioli with Umbrian black truffle or any of the homemade pastas, or opt for a hearty fall dish like grilled lamb chop scottadito with aromatic herbs and lemon-infused olive oil. For dessert, try the lemon sorbet topped with fresh whipped cream and raspberries. A relative newcomer, this restaurant opened two years ago inside a converted 19th century horse stable. Serving coastal American cuisine with an emphasis on fresh, local food; their buttermilk fried chicken with spiced honey is a must. If they have Cocoa Beech on the dessert menu, dig in to this decadent brownie topped with chocolate mousse and crème anglaise, sprinkled with dark cocoa and chocolate cookie crumbs. Enjoy your meal while lounging on the cozy heated patio next to a wood-burning fireplace. Enjoy all-day brunch in a tranquil setting serving up avocado toast, flourless matcha pancakes, ratatouille, candied bacon, and more. The space is also home to PawPaw, a pop-up restaurant helmed by chef and local snail farmer (founder of Peconic Escargot) Taylor Knapp. Knapp previously cooked at Copenhagen’s Michelin-starred Noma (four-time-winner of World’s Best Restaurant), and now serves up a seasonal multi-course tasting menu on select Saturdays (reservations required). Known for it’s slogan, “Shuck Your Self”, this popular little hangout by the docks lets you shuck your own Peconic Bay oysters for half the price of a pre-shucked dozen. Don’t worry, they’ll show you how. As part of a large collective of local farmers and harvesters, the oysters here are fresh and tasty. On Thursdays, they offer Vinyl Night where you can bring and play your own records while slurping discounted oysters paired with pints of local beers like the chocolatey Oyster Stout from Greenport Harbor Brewing Company. This casual bistro offers alfresco dining beneath cherry trees and often accompanied by live music from local bands, like Points East. For lunch, try the Ahi Tuna Burger with hand-cut fries and house made ketchup. The menu board of this fish market lists the “Best Lobster Roll” and it very well might be. They also offer tasty fish tacos, steamers, seafood salad wraps, and scallop bacon ranch quesadillas. The nation’s oldest same-family-run eatery is housed in a registered National Historic Landmark from 1845. Founded by Manuel Claudio, a whaler from Portugal who opened Claudio’s Tavern in Greenport in 1870, the Claudio family continued to serve up fresh shrimp and lobster as a way of life. After 148 years, ownership was recently transferred in April of this year, and the new team intends to maintain the Claudio’s legacy and menu staples while adapting to the tides of the North Fork foodie experience. 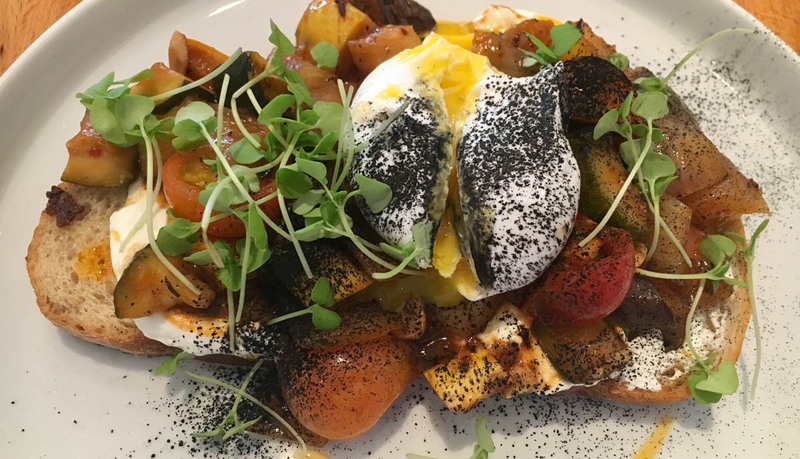 For breakfast (until 2pm), head over to Love Lane Kitchen for upscale comfort food and imaginative variations on the classics. Known for their “pancake tacos,” breakfast bowl, and pastrami hash, they also serve fresh-pressed juices from The Giving Room, like the “Brain Shot” made with orange, carrot, turmeric, lemon, and ginger. A local institution since 1987, even Starbucks couldn’t compete from across the street and closed after four years. Aldo’s offers strong organic coffee and an array of pastries, chocolate-dipped biscotti, croissants, and scones. This 28-acre sustainable family-run farm is well worth a visit. An outdoor food truck serves seasonal farm-fresh breakfast and lunch Friday through Sunday, including the best zucchini bread with crème fraiche you’ll ever taste. Also drool-worthy are their braised pork tacos and fried chicken sandwich. While you cozy up to a picnic table to enjoy your farm-fresh fare, expect to see pasture-raised free-roaming hens, grass-fed Icelandic sheep, and hogs happily feeding nearby. The onsite market sells fresh eggs, clothing and other items made from sheep’s wool, bath products, and a variety of colorful, fresh produce and baked goods. One of the largest lavender farms in the country, 17 acres are home to over 80,000 lavender plants and provides picture-perfect landscapes of purple fields abuzz with bees and butterflies during peak season from June to early-July. They also have a small English bloom in mid-September. 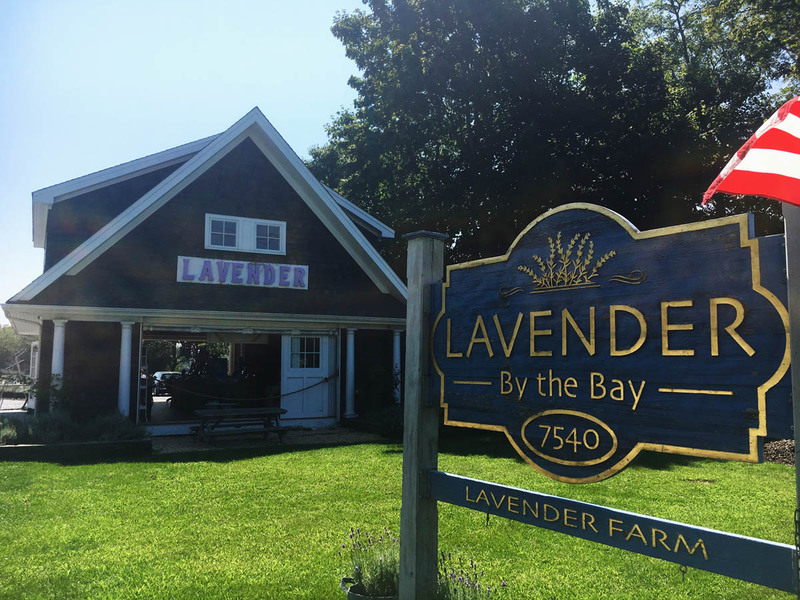 After wandering the fields, check out the on-site shop for a variety of lavender goods. This husband-and-wife owned goat farm opened in 2003; in the summer of 2005, they won a first place award for their chevre from the American Cheese Society, besting cheesemakers who had been in the business for over 30 years. Open daily from 10am-6pm, you can hang out with some friendly goats as they nibble grass and leaves from within their fenced-in dwelling while you sit nearby enjoying a variety of cheeses, yogurt, and fudge made from tangy goat’s milk. Reserve a tour in advance to observe a milking demonstration. This 100-year-old carousel is housed inside a modern glass and steel structure, and all the carved horses and sleighs date back to the 1930s. It’s named after the first person to operate the ride. Open daily (end of school year through Labor Day) and on weekends for the remainder of the year, it costs just $2 for several spins around the carousel – and if you manage to grab the brass ring, you win a free ride. To enjoy a range of water activities, including waterskiing, wakeboarding, kiteboarding, wakesurfing, jet skiing, kayaking, stand-up paddle boarding, and more, contact this premier water sports company with locations in Southold and Sag Harbor and pick-up service on Shelter Island, and let their expert staff assist with all of your action-packed water-adventure needs. Kids can play on the nearby swing set while you stock up on picture-perfect, bursting-with-flavor specialty fruits and vegetables in varying colors like orange watermelon, yellow raspberries, purple peppers, heirloom tomatoes, microgreens, and herbs. This is the North Fork’s premier certified organic farm, where the sweet corn is juicy and delicious enough to eat raw off the cobb. They also sell freshly-baked goods, dressings, jellies, soups, spicy sriracha sauce, and more. Expect the prices to reflect the quality of the goods. They also offer classes in cooking, wellness, medicinal herbal studies, and morning yoga in the farm field. For an enhanced stargazing experience, head to Long Island’s oldest public observatory (est. 1927), open to the public every Saturday evening from dusk until midnight, where the on-site staff gives tours of the facilities and a viewing of the night sky through their powerful telescopes. The extensive waterfront of the North Fork is one of its main draws, and most of its beaches are freely accessible. We recommend water shoes along these rocky shorelines. 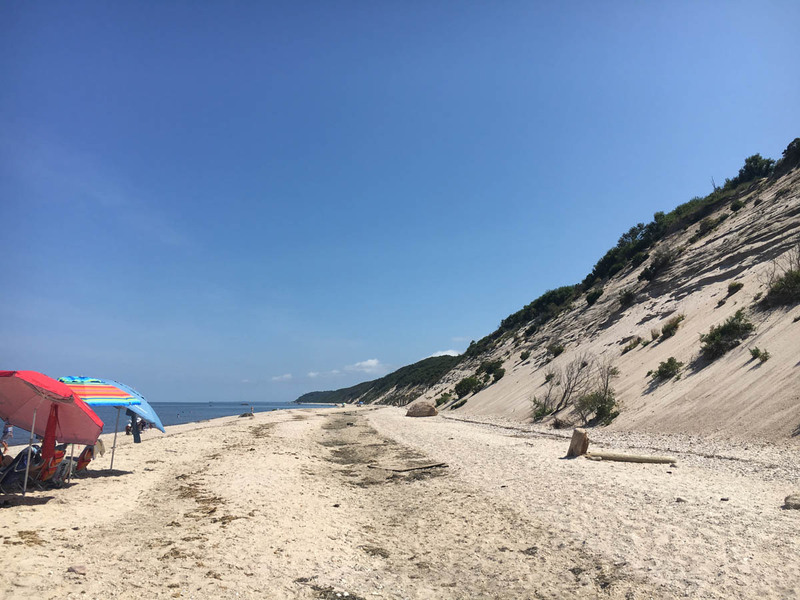 Orient Beach State Park (marked a National Natural Landmark in 1980 and an Audubon Important Bird Area) offers both 45,000 feet of beautiful shoreline and maritime forests with nature trails for hiking. Another seaside favorite is Goldsmith’s Inlet Park in Southold, offering a quiet stretch of pristine shoreline with water on both sides winding towards the Long Island Sound. A parking permit or day pass from the Town Hall of Southold is required to use the parking lot. Gull Pond Beach is also popular and offers amenities like a lifeguard from 11am-5pm and playgrounds, restrooms, and picnic tables. Beach attendants are onsite Fridays through Sundays in the summertime and can issue parking permits. Beaches inherently possess a sense of romance, but nothing tops Crescent (aka Sunset) Beach on Shelter Island for its spectacular sunset views: it’s a full-service beach with lifeguards, restrooms, and services (you can rent chairs/beach umbrellas/boats, etc. ), and if you make a lunch or dinner reservation at the swanky Sunset Beach Hotel restaurant you can park in their parking lot for free (tip the valet if he’s on duty) and just cross the street to enjoy the beach. The fall is prime time for a pumpkin picking expedition. This family-owned pick-your-own pumpkin farm offers 18 varieties of pumpkins you can pick straight off the vine while roaming their 26-acre field. They also have hayrides, a bounce house, fire-roasted corn, candied apples, face painting, mazes, and photo ops with friendly farm animals. On a quiet weekend, grab lunch to go from the North Fork Food Truck and enjoy it at the picnic area just outside The Horton Point Lighthouse, followed by an informative tour of the Nautical Museum and a walk along the pebble beach below. With a line out the door moving briskly through this tiny shop, as 40-50 flavors are taste-tested, to-go pints are filled, and happy customers head outside to sit and enjoy their tasty treats; deliciously inventive seasonal specialties and vegan options will keep you coming back for more. Favorite flavors include coconut avocado, salted caramel, chocolate pudding pie, lavender, and fig & honey. “I’m enjoying this too much to talk.” (a review from my chatty 6-year old). The charming Orient Country Store is worth a visit. Sandwiches, pastries, and pies are all made from scratch. Try a slice of Miriam Foster’s famous blueberry pie. Past the post office next door you will find Four & Twenty Blackbirds (originated in Gowanus, Brooklyn and voted “Artisans of the Year in 2011 by Time Out Magazine), where you can enjoy a second slice of pie with some Stumptown coffee. On your way back to NYC, stop by to pick up a few hearty pies to bring back to friends and make heading home a little bit sweeter. You can freeze them to revive memories of North Fork over dinner parties. They also stock an assortment of fresh fruits, vegetables, and other baked goods. Wine-lovers will enjoy an array of local varieties this region has to offer. There are plenty of events scheduled year-round to raise your glass to. North Fork’s only waterfront winery, this award-winning family-owned, sustainable vineyard is housed on 62 acres and boasts a farmhouse-chic industrial wind-powered tasting room, open daily. Tours are offered on weekends from 11am-3pm for 45 minutes, and include a taste of four wines, a cellar tour, and barrel sample, for $35 per person. Afterwards, you can kick back at a picnic table overlooking the Long Island Sound and try a glass of their 2014 Cabernet Franc or 2016 Sauvignon Blanc. This sustainable, low-yield vineyard is a boutique family operation that has been producing wine since 2007. Known for its Pinot Noir and Bordeaux-style reds, McCall’s Tasting Room is housed in an old potato barn that was once a horse stable. A herd of white-coated Charolais cattle graze in the fields. During the spring and summer months, the North Fork Table & Inn food truck parks near the tasting room on Fridays @ 5pm and uses the Charolais beef in their decadent burgers. Throughout the week, guests are welcome to bring their own snacks to pair with a $12 wine flight or $8 wine by the glass, including a special collection of library wines. Cheese plates are available for purchase in the Tasting Room on Fridays, Saturdays, and Sundays. Thirteen wines are available at this certified sustainable, estate run winery helmed by Claudia Purita. Hailing from a family farm in Calabria, Italy, Claudia spent 14 years working in the Long Island restaurant industry, and now brings her vast experience to a 28-acre vineyard of her own, which began producing wine in 2007. Known for her 2010 Gewürztraminer and nuanced 2010 Sauvignon Blanc, among other varieties, this hardworking woman hand-planted and meticulously tends to her grapes. On Saturdays in the summertime, you can bring a blanket to the property to enjoy outdoor movies and delicious food in front of a bonfire with the starry night sky above. Currently closed due to local zoning laws, this family-run 11-year vineyard is hoping to reopen soon to serve its rosé-all-day. Boasting a beautiful garden and 200-year-old tasting barn where you can order a trio of sparkling rosés at a time, their chilled Cabernet Franc rosé is a standout. Formerly pioneering Hargrave Vineyard established in 1973, and since purchased by Marco and Ann Marie Borghese in 1998, this family-run, award-winning vineyard offers a $20 vineyard walk and guided tasting tour. Try their Reserve level reds. They also house special events and a rotating gallery of art on exhibit in the antique former potato barn. Owned by film producer Michael Lynne (Lord of the Rings), this refreshingly contemporary tasting room is complimented by a modern art collection. A range of exciting events take place here throughout the year from their summertime Thursday evening Twilight Music Series, where you can bring your family to enjoy live music, wood-fired pizza from a pizza truck, and lawn games galore, to a stargazing session with the Custer Observatory staff on hand with telescopes, binoculars, laser pointers, and more. Sit on the porch overlooking sunset vineyards while the kids do cartwheels and play tag in the grass. Small-batch and pre-released wines are on tap and frozen rosé is served. Their most lauded wines are their Merlots, though we are also partial to their Gallery Whites and Viogniers. Raise a glass in the rustic tasting room or on the outdoor deck with sunset views, every Friday from 6-9pm at the Friday Night Music Series. They also have live music on Sundays from 1-4pm, with musicians such as Points East, Cass Dillon, Joe Divello, The Second Hands, and Bryce Larsen. Try their Pinot Blanc and Meritage red. Local cheeses and a selection of snacks are also available. Children and pets are welcome. This 500-acre waterfront farm has been in the Macari family for over 50 years. A menagerie of animals grazes in the vineyard, including a herd of Long Horn cattle, cultivating an ecological and biodiverse soil for the grapes. You can choose from a selection of flights or wines by the glass alongside an array of artisanal cheeses and charcuterie. Try any of their top-end red blends. Originally a thoroughbred horse farm, this winery is now noted for its top reds, Rieslings and Chardonnays. Kids will enjoy petting dozens of farm animals onsite, and educational walks are scheduled through the vineyards in the summertime. The philosophy that powers this popular and family-friendly vineyard is to allow Mother Nature and the complexity of the farming soil to produce the very best wines with the least amount of interference from humans. Guests may bring their own picnic lunches to enjoy on their sprawling 4-acre great lawn. Weekends offer live music and plenty of outdoor fun, like volleyball, bocce, corn hole, and canjam spread across the expansive property. They regularly have free BBQ stations set up for guests to enjoy. Standouts are the 2014 Chardonnay Reserve and 2010 Cabernet Sauvignon Reserve. This small, high-quality winery was founded in 1986 by father-and-son team Ron Goerler, Senior and Junior. Their world-class wines can be enjoyed in a 165-year-old barn housing their tasting room. Known for their Rieslings, Merlots and Syrahs, and relaxing live music (jazz in the summertime) in their lawn on the weekends, with wood-fired pizza and flat breads on hand. 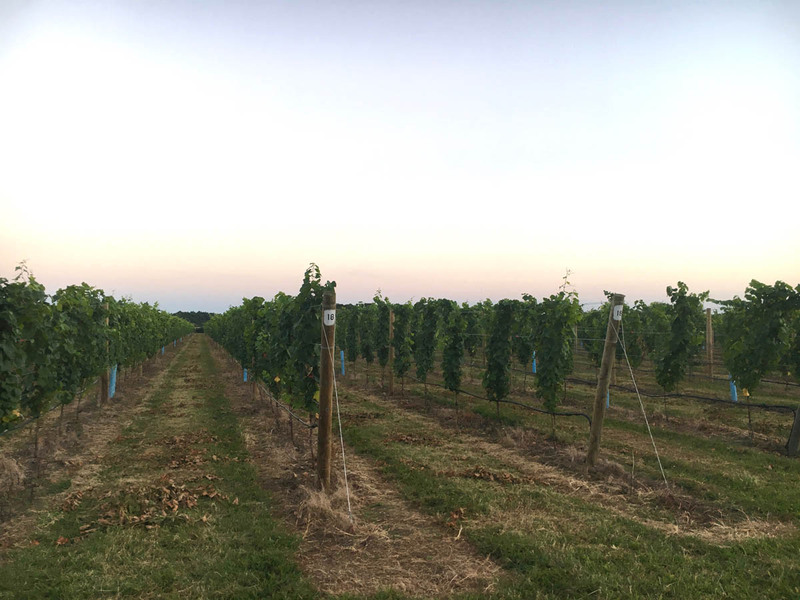 One of the first-ever wineries on Long Island, this all-estate winery produces delicious varietals from the grapes onsite (no branded blends), sticking to the natural flavor of each grape, and is led by Eric Fry. After three decades at Lenz, Fry aims to protect the concept of quality wine. You can get a glimpse of his lifetime of expertise on guided tasting tours and barrel tastings in February and March (book in advance). Founded by Ursula and Charles Massoud in 1983, along with their three sons, the grapes they tend on 80 acres of this 125-acre vineyard produce around 12,000 cases of wine each year. Winner of New York Winery of the Year in 2015 at the NY Wine & Food Classic, the tasting room is open year-round. Their premium vinifera grapevines produce Chardonnay, Riesling, Sauvignon Blanc, Chenin Blanc, Merlot, Cabernet France, and Petit Verdot. Barbara Shinn and David Page (owners of the former Home restaurant in the West Village for 23 years) have been producing biodynamically farmed wine without any herbicides on their wind and solar-powered estate since 2000. Natural winemaking is their focus in addition to running one of the area’s top B&Bs, Farmhouse Inn. Enjoy their exceptional Sauvignon Blancs and red Bordreaux blends. If you prefer hops to grapes or are just looking for a change of pace with your libations, check out Greenport Harbor Brewing Co. The seasonal Leaf Pile brew is the perfect accompaniment to the pumpkin flavorings of fall. Beer lovers, rejoice! This small brew house was founded in 2012 by husband and wife team, Matthew and Lauri Spitz. Self-distributed and with an evolving portfolio of beer in a variety of styles, each selection is produced independently with care and ingenuity.